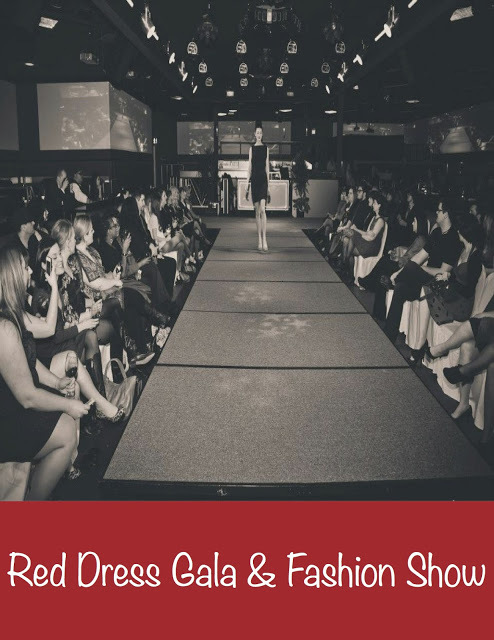 The first annual Winnipeg Red Dress Gala & Fashion Show took place Wednesday February 13, 2013 at Stereo Nightclub. I chose to organize this event in the efforts to raise a sizeable donation for the Heart and Stroke Foundation (HSF). Red Dress Galas happen all over North America in a variety of different manners. I thought it was time to bring this annual event to Winnipeg. I registered the gala as an official Live Red event with the HSF; Live Red is a program in which members of the community can create and host third party events where the proceeds go towards the Foundation. People who volunteer to be part of the program have the option to host the event of their choosing on their own merits, or apply to be able to use the HSF’s logos on promotional items, as well as gain access to other HSF materials. The HSF is a reputable organization in Canada; pairing up with them as opposed to creating something entirely on my own, gave the event a strong sense of credibility. The theme of the evening in addition to Red Dress was Chocolate Covered Strawberries. Studies show that dark chocolate is great for the cardiovascular system, and Strawberries have many phytochemicals and antioxidants that help prevent joint inflammation that can sometimes lead to heart disease. Not only did this sub-theme incorporate a clever health tip into the evening, it also provided a fun colour scheme to work with. After viewing several different venues, I decided Stereo Nightclub had the best available space, and were most willing to wave many costs in keeping with the set budget. In addition to affordable pricing, one of the main criteria of the venue was that it needed to have a large enough space to hold a runway, as well as different lighting options for different parts of the evening. An added bonus of Stereo Nightclub was their projector screens located all across the room. This made it possible to display the logos of all the sponsors and contributors to the event, the profile videos I shot and edited of the five designers involved with the show, and to broadcast the fashion show as it was happening, making it clearly visible from any point in the room. 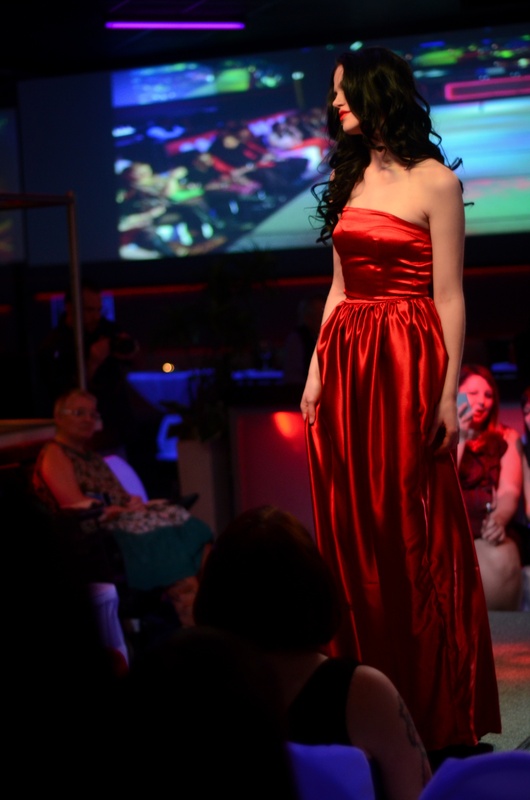 The main attraction of the Red Dress Gala was the fashion show. I wanted to highlight the local talent here in Winnipeg and thought it would benefit the fashion community by using local designers as contributors for the fashion show. Five designers were selected, and each were asked to contribute a series of four outfits for the runway, whether they be pieces they created previously, or specifically for this event. The red dress symbolizes women who’ve been affected by heart disease or complications. In addition to four outfits, designers were asked to design a signature red dress, all of which would be displayed as the finale of the fashion show. I formed a committee which included four other college students interested in gaining hands on experience in philanthropy and event planning. My committee and I met once a week to work through details of the event, and to give me a chance to delegate what needed to be done next. Sponsorships letters were sent out to a variety of businesses in hopes of receiving monetary sponsorships, silent auction donations, and volunteer support. The final list of sponsors included: Canad Inns, Kawaii Crepe, David’s Tea, Yoga Public, Norwex consultant – Melody Crane, Mary Kay consultant – Cathy Laver-Wright, The Foxy Shoppe, Wellness Institute, Colby Red, MC College, and Divine & Conquer. In order to promote the event, I relied heavily on social media. Early into the project I set up a Twitter account, Facebook page, and an event blog. These tools were not only used as a source of information about the event, but as a place where my audiences could go to look for health and fashion related tips and inspiration. Using these mediums helped generate buzz about the event and caught the attention of 103.1 Virgin Radio personality, Adam West. He expressed interest in the event early into the planning process and offered to be the master of ceremonies for the evening. Another form of promotion used was video. I shot and edited video profiles of each of the designers involved with the show, and edited them together to create a montage promotional video. This video was primarily used to promote the fashion show aspect of the event. 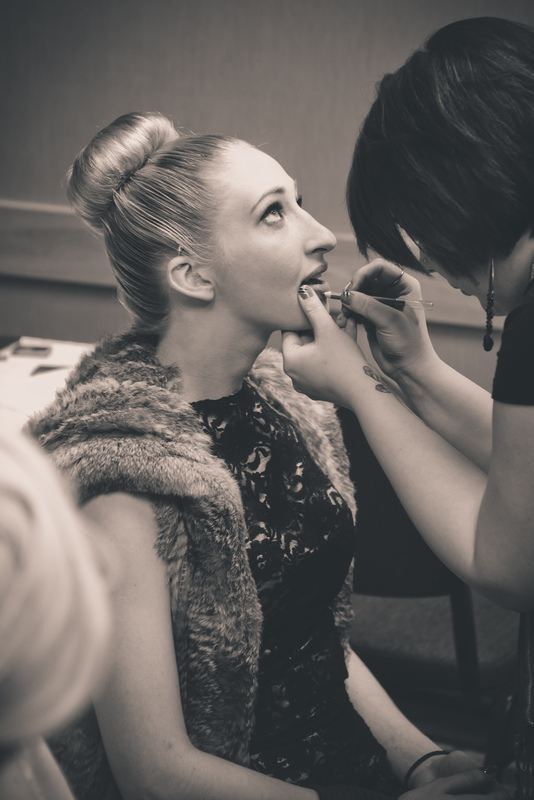 Closer to the date of the event, volunteer models were selected to participate in the fashion show part of the evening. 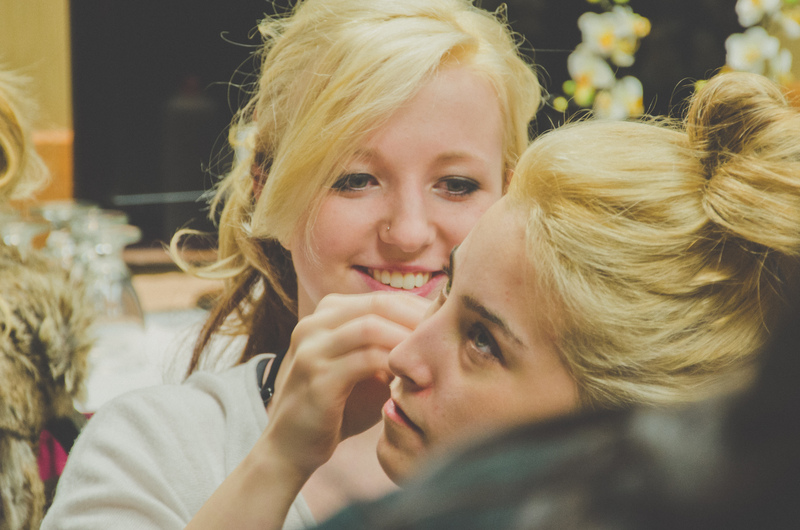 11 models came out to a fitting that gave designers a chance to make note of any needed alterations, and arrived at the venue early the night of the event to get their hair and makeup done before the show. 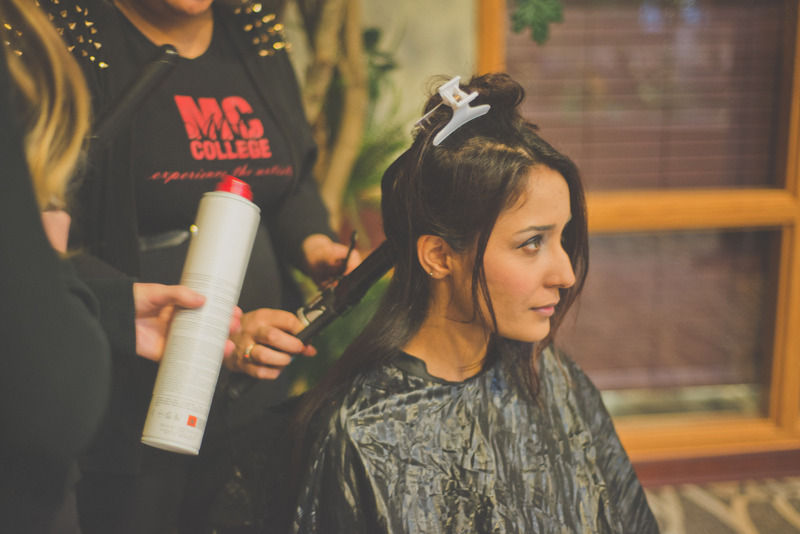 Hair and makeup service was provided by students in the Hairstyling and Aesthetics programs at MC College. I contacted a faculty member of the school to seek their interest in taking part in the event as two of their recent graduates were designers taking part in the show. They were more than happy to jump on board as the gala provided a great opportunity for their students to gain additional hands-on experience. Doors opened at 7:00pm for the cocktail hour. As guests began to walk in they were directed to coat check, the wine sample station, as well as to their seating area if they were a VIP guest. During the cocktail hour, guests were able to mix and mingle, enjoy hors d’oeuvres and samples of Colby Red wine, enjoy top 40 music, and to take a look at the 11 prize packs on the silent auction table. At 8:00pm Adam West took the stage and officially started the evening. VIP guests were invited to sit in their reserved seats for the fashion show. Adam welcomed everyone to the event and provided a bit of background as to how the event came to be. He then invited Community Partnetship & Events Manager from the HSF, Jessica Cranmer, to the stage to say a few words about the foundation and what they do. Then it was time for the fashion show. 20 different outfits created by local designers, Alanna Tinsley-Roy, Dee Karpa, Andrea Pelletier, Lili Lavack of Bi.polar Couture, and Shannon Klymchuk of Divine & Conquer, walked down the runway, followed by five red dresses created specifically for this event. After the fashion show there was half an hour for guests to mingle again, and to purchase any last minute auction tickets. When the half an hour was up, Adam and I took the stage to start the draw for the prize baskets. When all baskets were distributed, I closed the evening with a thank you speech acknowledging everyone who participated in or contributed to the event. After the gala, the Heart and Stroke Foundation expressed their gratitude for my efforts and invited me to organize the event again next year.